Esteemed fellow readers, since the very beginning of TWC the Eagle Standard has been the bread and the butter of everything related to TW Games and Mods reviews and previews. Starting back in 2005 the ES has provided tens of assembled issues, ranging from modding news, to reviews and other miscellaneous articles. A few years ago we expanded our range (with the introduction of Interviews and of Modding Awards articles, basically) and moved our activity from the old forum to the new CMS (Content Management System) Article section, precisely where this article is shown at present times! As this section of the site is sharing the same area with the other glorious publications we have (such as the Gamer's Gazette or The Helios, just to mention a couple of them) and with other misc communications such as News or Curial stuff, it is sometimes difficult, in particular for guests and new members, to find precisely what they are looking for. For this reason I have decided to introduce a new annual publication, the ES Articles Compedium: the purpose is rather obviuos, grouping in one single place the links to all the published aricles we have in the CMS, sorted by our internal categories (Reviews, Previews, Interviews and Modding Awards), so that everyone can have an easy access to the full list of them and pick what they are most interested in. The plan is to update the compendium every 12 months or every 12 articles, depending on which of the two will happen before! If you are interested in very old articles (prior to the moving to the CMS), please follow this link. Be warned though: old articles are for the most largely outdated, in particular for what regards the modding news, but if you are high for vintage stuff or looking for some old article, than that's the place where you have to go! Besides, if you are interested to learn more about the Eagle Standard publication, purposes and team, just follow this link to our general recruitment article or feel free to send me a private message. Below is the updated list of all the published articles as per December 2018, sorted by category as promised. 2017 Modding Awards, Winners revealed! 2016 Modding Awards, Winners revealed! 2015 Modding Awards, Winners revealed! 2014 Modding Awards, Winners revealed! 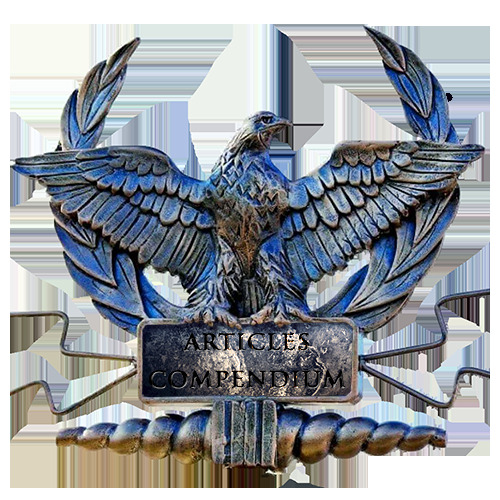 Welcome to the new ES Articles Compedium; feel free to roam the various categories and give a look to all the listed articles, I'm pretty sure you missed some of them (as they date back to as far as 3 years ago). Any comment on how to improve this compendium will be welcomed! Oh my, I had completely missed some of these (most notably the Ngugi interview; shame on me!) Time to get this remedied.. Oh...I also missed some of them. Thanks for this compendium mate. There's some great stuff lying around here! Really should invest some time in it! Very helpful this compendium, great work! Thanks for this good link compilation! Good job done by the ES team since years!